‘Avengers: Infinity War – Avengers Assemble or Avengers Disassembled? 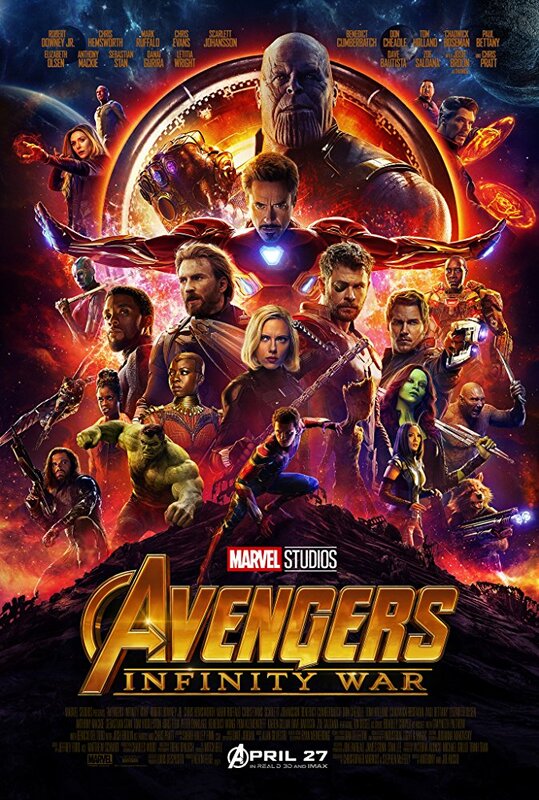 The obviously talented filmmakers, cast, and crew of ‘Avengers: Infinity War’ had an almost impossible task in realizing the most ambitious blockbuster event in cinematic history, the culmination of ten years worth of always watchable, and many times brilliant comic book movie storytelling. They were given the largest budget ever committed by a studio and they pull it off with a film that is wondrous to behold and infinitely entertaining (pun intended). Although after two and half hours of undeniable eyeball candy, the final product is not completely satisfying on an individual character level, not surprising due to its scope and cast, yet in contrast for a film series that has uniformly translated the essence of the Marvel Universe heroes to the screen. As of this writing, returns are reporting the largest opening weekend ever, so financial victory has been achieved, but the full story of creative victory remains uncertain until the next part of this saga unfolds. The movie wastes no time jumping right into the action, as the big bad promised from the end of the first ‘Avengers’, Thanos (Josh Brolin in a magnificent mo-cap performance), and his crew of CGI lackeys have decimated Thor’s Asgardian refugee ship last seen in the stinger for last year’s fun romp, ‘Thor: Ragnarok.’ He has set his plan in motion, the unification of the Infinity Gems for the ultimate ascension in cosmic power, and by the utter devastation seen in this cold open, he is not messing around. Thankfully, screenwriters (credited to MCU staples Christopher Markus and Stephen McFeely, with some dialogue likely punched up by others) and directors Anthony and Joe Russo (the last two stellar Captain America films) aren’t relying on all gloom and doom, and are able to inject some truly hilarious (and organic) banter between the various factions and team-ups presented here. The movie is basically a series of large screen action sequences (some of the most incredible superhero action is gloriously rendered here transferee from panel-to-screen), as different groups alternately seek to defend existing gems and in some cases go on the offensive to fend off the universal threat of a madman seeking godhood, but it’s the interactions between the characters that keep the audience’s interest. It is to both the movie’s credit and part detriment that it is structured in this way, as it simultaneously realizes the crossover aesthete and ticks off the fan service boxes. Large scale comic book crossovers often employ the same kind of device – the multitude of featured players get separated and grouped, in this case rather logically – Robert Downey Jr.’s Tony Stark/Iron Man with NYC defenders Spider-Man (Tom Holland continuing his perfect run as in-way-over-his-head Peter Parker) and Dr. Strange (Benedict Cumberbatch and his cape! ); Chris Hemsworth’s Thor and the Guardians of the Galaxy (always welcome); Chris Evans’ Steve Rogers/Captain America (the most righteous hero gets the least to do here out of the big three), his outlaw Avengers, and all of Wakanda (smart move to feature these newly popular characters and setting). These crossovers in the comics are typically the most hyped and contain the most flash, yet the most acclaimed stories surrounding the stars play out in their own titles, a trend that is present in ‘Infinity War’ as well. This is not necessarily a bad thing, and it doesn’t distract from the immediate movie-going experience, but when the stakes are as high as they purport to be in something like this, one wishes these rich characters would each receive equally powerful arcs (although to be fair, there are multiple, truly devastating, jaw-dropping moments). While this still may play out to be the case once this story possibly comes to some sort of a conclusion a year from now, this part of the tale, as ambitious and grandiose as it is presented on screen, rates an INCOMPLETE . . . Previous Post ‘Ready Player One’ – Is it Possible to Love an Homage to all the Things You Love? Next Post ‘Deadpool 2’ – Can Lightning Strike Twice for Ryan Reynolds?